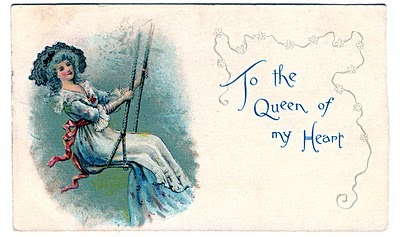 Here are a few fun vintage Valentine’s Day postcards. 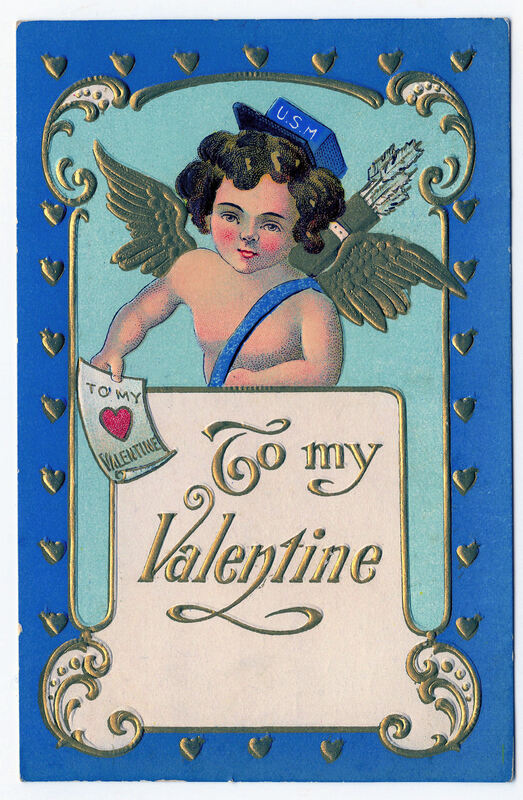 The one at the top is a cute cherub mailman, delivering a valentine. The second one “Queen of my Heart”, features a woman that resembles Marie Antionette. And the third has 2 hearts pieced by an arrow. 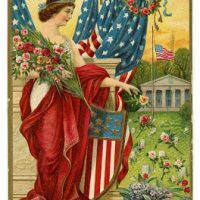 Vintage Memorial Day Image – Lady Liberty Postcard 4 Christmas Children in Snow Images Pretty Purple Fashion Lady! I like the graphics, the vintage Valentine graphics. I will check out your blog more fully tomorrow. So great! Thanks so much!!! 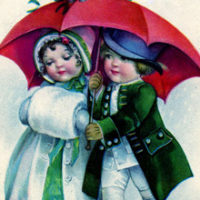 On Valentine day giving lovely cards to the valentine person is nice. You have given some vintage Valentine’s Day postcards. IN those Queen of my Heart and 2 hearts i like the most. Thank for this nice post. These are really cute Karen. Have a great weekend, and thanks for the graphics. Karen, these are delightful, love the blue colors! Adorable! Just wonderful! I really like the second card, so light and sweet! Thanks again for great images! J’adore toutes tes images. Elles sont superbes. Yours is stll the only blog widget I will have on my blog! Thank you! 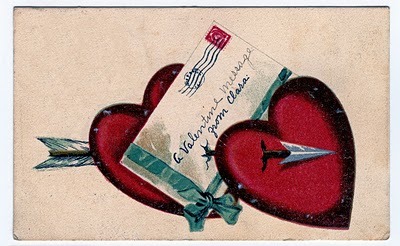 I needed a piece of clipart of a valentine postcard and this worked perfect!